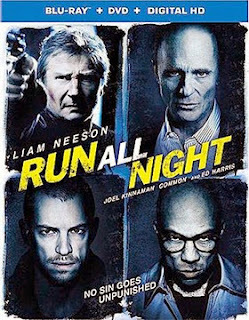 Warner Bros. Home Entertainment announced this past week that Barcelona-born filmmaker Jaume Collet-Serra’s latest action thriller, Run All Night, which teams him once again with Liam Neeson — in 2014 they delivered Non Stop — will be a DVD and Blu-ray/DVD Combo Pack launch on June 16. The ARR is 95 days and the domestic box office take was $26.4 million. This time out Neeson gets to return to his Irish roots as a former hit man by the name of Jimmy Conlon, but his professional moniker was “The Gravedigger.” He was a long-serving enforcer for the New York City-based Irish mob, but that was long ago. He is forced out of retirement — and forced to sober up as well — when his son (Joel Kinnaman — RoboCop) becomes tangled up with Albanian drug dealers and sets in motion a series of killings that, wouldn’t you know it, lead right back to Conlon’s old boss (played by Ed Harris) … there will be no peace until one, or both, of them end up dead! Also added to the release calendar this past week for delivery on DVD on May 5 are a pair of long overdue Wallace Berry films. Director John Conway’s (with uncredited directing assistance from both Howard Hawks and William A. Wellman) 1934 Best Picture nominee, Viva Villa!, starring Wallace Beery as Pancho Villa … his co-stars were Fay Wray and Leo Carrillo. 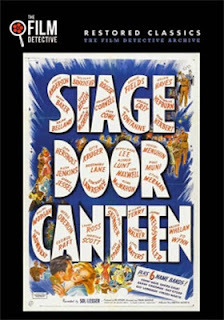 The other Wallace Berry film getting a vault dust-off is director William A. Wellman’s 1945 film, This Man’s Navy, which takes a look at the LTA service (lighter than air … blimps) in the waning of World War II. Tom Drake, James Gleason and Jan Clayton (as Ellen in the Lassie TV series) are Berry’s co-stars. Documentaries can be insightful, educational, uplifting, boring and even tedious … and then sometimes there is that rare documentary film that comes along that absolutely grabs you by the heart. Touches you. There is such a film coming your way on June 23, so mark your calendar, you are going to want to catch this inspirational gem on DVD. 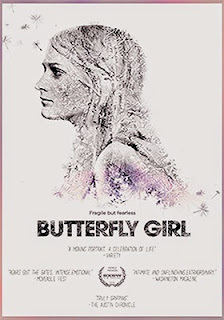 Indican Pictures announced this past week that documentary filmmaker Cary Bell’s Butterfly Girl will making its domestic DVD debut on that date. Abigail Evans has been dealt a raw deal in life’s casino. She suffers from Epidermolysis bullosa (aka: EB), a rare (genetic) skin disease that leaves the inflicted with chronic bruising and blistering (and more, much more, but the disease itself is not what the film is about). The title, Butterfly Girl, refers to the ultra-sensitivity of the skin; as fragile as a butterfly’s wing ... and you would think that the chronic pain and disfiguring nature of the disease would eat at a person and drag them down. Not so with Abigail Evans, she’s a teenage and EB hasn’t let it beat her. She’s doesn’t sit at home, alone, afraid and cut-off from the world. Instead, she lives life as fully as she can. Cary Bell has masterfully blended dramatic storytelling within the framework of a documentary. If the resulting story was not open — even “entertaining” — and inviting, then it wouldn’t be worth watching. It would just be “oh poor Abigail,” and that’s not who this person is. We learn of her life from her father, John Evans, a composer and musician (two of his songs are featured in writer/director Shana Feste’s 2010 film release of Country Strong — starring Gwyneth Paltrow and Tim McGraw — “Take Me Away” and “Turn Loose All the Horses”). She often travels with him to his gigs and there is some terrific footage of her just hanging out and enjoying herself, which is presented counter-point to her seemingly endless rounds at doctor’s offices, hospitals and clinics. So come spend some time with filmmaker Cary Bell and her friend Abigail Evans on June 23, you will not regret it. Her hands are not pretty (no nails to polish), her speech is lisp-like (symptomatic of EB), but her heart is pure gold and her spirit will lift you to the heavens … as if on butterfly wings. Cinema Libre has tabbed July 14 as the street date for DVD and Blu-ray editions of documentary filmmakers Andy Grieve and Lauren Lazin’s Can't Stand Losing You: Surviving The Police. The film is currently in an arthouse theatrical release … that yields an ARR of 116 days and ticket sales are reported at $21,769. 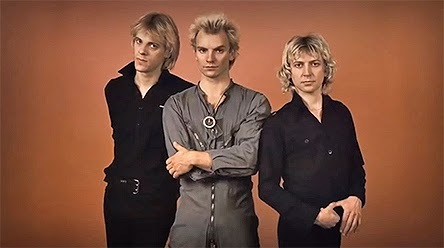 The “Golden Era” history of the English rock group, The Police — Sting, Steward Copeland and Andy Summers — is explored through this documentary adaption of Andy Summers’ 2006 tell-all, “One Train Later: A Memoir.” It’s intense … The Police during the late ‘70s and early ‘80s were a phenomenon that rattled the world of rock’n’roll, so you would expect the relationships, the music, the creative process and the lives of the members of the band during this period to be nothing short of, well, intense. Grieve and Lazin, working with Andy Summers tell-all book, “One Train Later: A Memoir” (he also serves as the film’s narrator), archival footage and his vast collection of candid photographs from the period (Summers was/is an avid photographer and is quite good in his compositions (i.e. he has an eye for it)) have cobbled together a well-produced and thoughtful reflection on the rise, the breakup and the reunion (20 years later) of The Police … the presentation is nicely bookend with concert reunion footage. 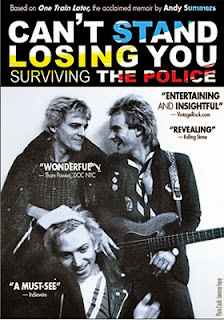 For fans of Sting and The Police, and for that matter rock’n’roll affectionados in general, The July 14 DVD debut of Can't Stand Losing You: Surviving The Police can’t come soon enough. Mill Creek Entertainment will be dipping its toe into the July release waters with a first wave of new DVD and Blu-ray product offerings on July 7. Following in the line of recent Dove "Family-Approved" releases from Mill Creek Entertainment is the DVD debut of writer/direct Richard Brandes’ Ugly Benny. Filmed on location in the picturesque town of Sisters, Oregon (just up the Highway 20 from Bend), we are introduced to a fur-ball of a puppy that is mysteriously left on the doorstep of the local pet store run by Sam (Timothy Justus) and Emma (Karen Tarleton). They take the little guy in and name him Benny, but several of the locals began calling him ugly, so “Ugly Benny” it is. He’s a mutt, but one smart little mutt, who knows how to win over even the coldest hearts and this little fellow instinctively knows when people need his help. His kindness will touch many hearts and bring happiness, not only to Sam and Emma, but to others in the town of Sisters at a time when the thought of a happy life seen not to be possible. 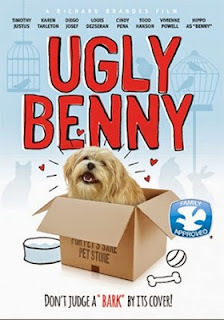 Ugly Benny is a neat, little independent film that will win over the hearts of viewers as well. 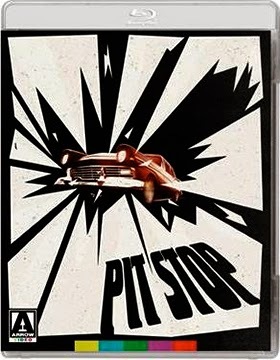 On the Blu-ray release front on July 7, Mill Creek Entertainment has come up with a pair action gems. First, Fire Birds, from director David Green and starring Tommy Lee Jones, Sean Young and Nicolas Cage as Army Apache flight jockeys battling a well-funded drug cartel — with state-of-the-art weapons — over the Jungles of South America. Edge of your seat non-stop action, with helicopter stunts that will leave you dizzy! Also on July 7, and making its Blu-ray debut is director Bob Rafelson’s 2002 film adaptation of the Dashiell Hammett’s 1924 short pulp fiction story, “The House on Turk Street.” It was updated and reworked for the screen as a starring vehicle for Samuel L. Jackson and re-title No Good Need … he plays a detective (with some health issues) who literally stumbles into an odd caper that has him tied to a chair while he tries to sort things out. This is a slick cat-and-mouse thriller. 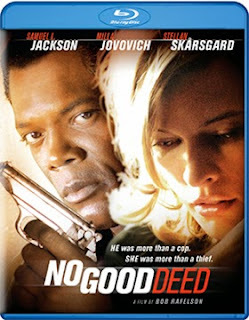 Fire Birds and No Good Need on Blu-ray are priced to collect at just $14.98 each (and that’s before discounts at retail). Rounding out this first wave of July releases are a 21-disc DVD set of Married with Children: The Complete Series and a double-disc release of Archie Bunker's Place: Season One. 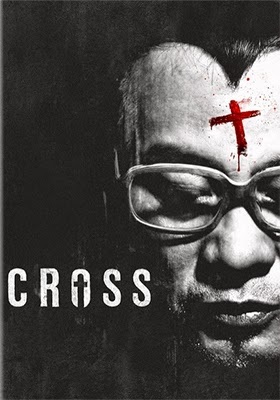 Well Go USA announced this past week that the Hong Kong-based writing and directing team of Daniel Chan, Steve Woo, Lau Kin Ping and Hui Shu Ning’s stylish thriller, Cross, will be heading exclusively to DVD on June 23. Lee Leung (Simon Yam — Iceman, IP Man, Man of Tai Chi, The Thieves, etc.) is either an angel of mercy or a twisted killing machine — a serial killer, if you will — who has taken on, as his mission in life, the task of killing people who wish to end their lives through suicide. You have to admit that that is a pretty odd career undertaking. He’s a devout Catholic and his wife did the unforgivable and committed suicide and that, apparently, pushed him over the edge. We learn all of this in a flashback narrative as the film opens with our “angel of mercy” turning himself into the police and confessing — in great detail — to his “work” as sort of the gate keeper to heaven. Since his victims, oops, make that clients, didn’t commit suicide they will, by his reasoning, be allowed into heaven. Talk about twisted, that’s Lee Leung in spades, but it is not as it seems as our would-be hero may have been played. The Film Detective announced this past week that May 11 will see a half-dozen new film restorations prepped and ready for delivery to the DVD market place at the priced-to-own SRP of just $9.98. Where does one begin? How about with the all-star music-themed selections of Stage Door Canteen (1943, director Frank Borzage brings out the stars at this famed New York City venue … Tallulah Bankhead, Judith Anderson, Edgar Bergen and his pal Charlie McCarthy are joined by the likes of Gracie Fields, Ray Bolger and Katharine Hepburn as they entertainment the troops) and Till the Clouds Roll By (1946, a look at the life of musical composer Jerome Kern with Judy Garland, Frank Sinatra, Kathryn Grayson, June Allyson, Lena Horne and Dinah Shore delivering his tunes. For Western fans it is Tim McCoy and Suzanne Kaaren starring in director Sam Newfield’s 1938 film release of Phantom Ranger (filmed out in Chatsworth, California when that was the “wild west”). 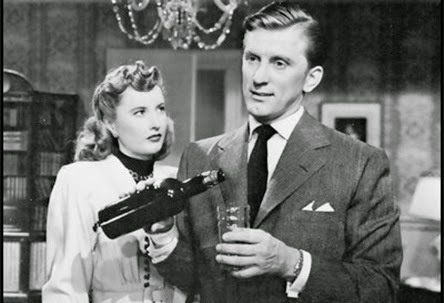 Rounding out the newly restored film presentations are They Made Me a Criminal (director Busby Berkeley’s 1939 crime drama starring John Garfield, Ann Sheridan, Claude Rains and the Dead End Kids) and The Strange Love of Martha Ivers (director Lewis Milestones’ 1946 film noir gem starring Kirk Douglas, Barbara Stanwyck, Van Heflin and Lizabeth Scott). Arrow Films, with sales and distribution expertise provided by the MVD Entertainment Group, will deliver a new hi-def digital transfer of iconic director Jack Hill’s 1969 metal-crunch auto racing thriller, Pit Stop, as a Blu-ray/DVD Combo Pack on Aug. 18. Bad boy Rick Bowman (Richard Davalos — East of Eden, Cool Hand Luke, etc.) is recruited by race promoter Grant Willard (Brian Donlevy) to compete on the ultra-dangerous “figure-eight” race circuit … with nothing to lose he goes metal-to-the-metal against the sinister Hawk Sidney (Sid Haig). Bonus features include commentary from Jack Hill and four featurettes. 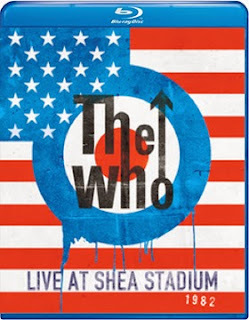 It’s a blast to the past on June 30 when Eagle Rock Entertainment releases both DVD and Blu-ray editions of The Who: Live at Shea Stadium, 1982. Celebrating the 50th Anniversary of the group’s founding, this fully restored (with newly mixed sound) live concert — from the group’s 1982 “Farewell Concert Tour” — is making its debut on both DVD and Blu-ray. 20th Century-Fox Home Entertainment brought smiles to many a fan this week with the news that director John Madden’s The Second Best Exotic Marigold Hotel, the follow-up to his 2011 comedy hit, The Best Exotic Marigold Hotel, will be released as Blu-ray and DVD product offerings on July 14. The ARR is 130 days and domestic theatrical ticket sales were $32.3 million. Dev Patel (also starring in Well Go USA’s July 7th DVD and Blu-ray debut of The Road Within, plus such films as Slumdog Millionaire, Chappie, etc.) 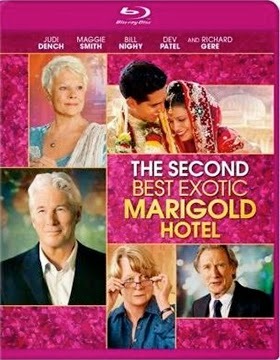 and his “guests” return (Judi Dench, Bill Nighy, Maggie Smith, Penelope Wilton, Ronald Pickup, Diana Hardcastle and Celia Imrie) for another round of complicated mix-ups … they are joined by newcomers Richard Gere and David Strathairn. Bonus nuggets include a half-dozen production featurettes and photo gallery. In other release news from 20th Century-Fox Home Entertainment this past week, director Christopher Menaul’s three-hour television event movie, Killing Jesus, will be available as both DVD and Blu-ray product offerings on June 2. Bonus features include nine video sessions with various cast members —including Kelsey Grammer as King Herod, Stephanie Leonidas as Salome and Stephen Moyer as Pontius Pilate — and eight production featurettes.